^ Awful situation Paul. Here's hoping the coming week is the start of a transition to colder and snowier conditions for the Alps. Katschberg should get a light fall over the next 4 or 5 days with temps nicely sub-zero by day and night, allowing cannons to operate 24x7. The resort should at least start looking like a winter ski resort!! And the GFS output in FI is very encouraging, with some potent Northerly blasts!! Fingers crossed. Morning Malcolm, yep another cloudless day arrives, although very cold last night. Freezing temps now likely into the New Year. Looks like the cold fron tfrom blighty decaying fast now into the drier airmass, so not expecting much from that. Snow guns hopefully working, but we have a drought and the water supply is abnormally low, so could end up with limited use. The good news is for more moisture next week in the Alps and should generate snowfall. As for the northerly, seems always in the outer reaches of reliability, but things must get better ! Strange my daughter was over from Sweden, also not much snow there. My son who lives in Vancouver are having plenty of snow in the coastal ranges and Whistler doing very well this year after a bleak season last winter. Anyway all the best for the New Year, you going back to France a little ski jolly ? 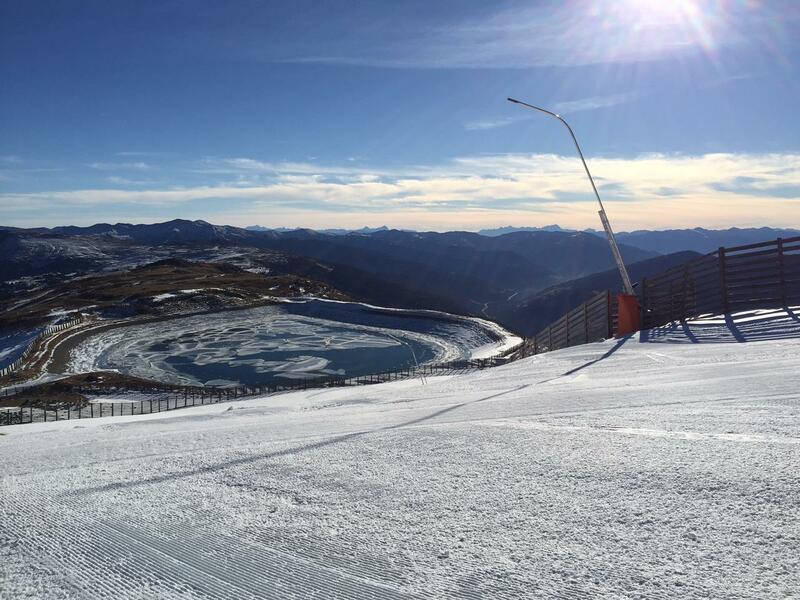 Just a follow on from the above post to Malcolm, here is the latest picture of the water supply to feed the snow guns. So low, its almost empty. The drought in these parts is now a more than a life time event. My goodness! That reservoir is very low - I see what you mean about possible rationing of the cannons. And you are spot-on about the reliability of model output at the moment - they're all over the place! I can't recall the models churning out such overly complex synoptics for so long a period. There's secondary lows, shortwaves and even kitchen sink spoilers thrown in to ensure the cold doesn't reach Europe! Even this morning there's a noteable difference in the GFS forecast for the amount of precipitation next week, with the 06z less enthusiastic than the 00z for decent falls of snow (and yes, the potent Northerly in FI has done a runner on this run!). 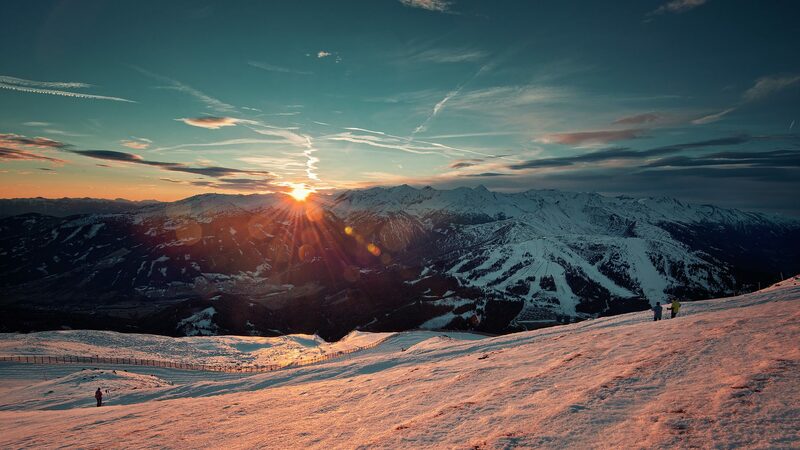 On the recommendation of one of my skiing friends, we're all off to Arc1950 in Les Arcs on January 23rd. Hopefully snow conditions will be back to normal by then, but I'm not sure I'd put money on it. Thank you for the season's greetings - a very Happy New Year to you too. Nice picture of winter solice 21st Dec 2014. A bit more snow then than 2015. Looking over Katschberg Ski Resort towards the Hohe Tauren and the Gross Glockner range. Nice picture Carinthian. Off with the family to Obergurgl on 10th Jan. Hoping that this coming week delivers some reasonable top ups. Much of the UK would gladly give you their rain, and we can have the dry sunny weather. As it is it suits nobody. Yes Julian, its a crazy perverse situation for both locations. Super resort Yozzer. If Obergurgl cannot deliver the white stuff, its god help us all. Hope you see a change in the coming 10 days. Which hotel you staying at ? 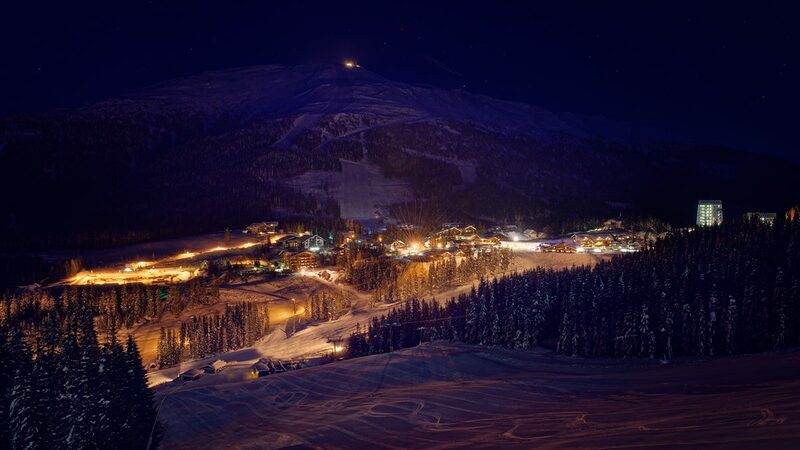 Got this one from last year of night ski-ing in the village, usually ever Thursday. Just wets the appetite for when the snow arrives ! We're in a catered chalet (Verwall) with Esprit. It will be a fairly standard chalet, but they have top-notch childcare. They take them at 9am for ski school and afternoon fun skiing, and look after them til 11pm if needed. They're happy, I'm happy! Sounds like you know Obergurgl. Any top tips? I heard that the Nederhutte is legendary for après-ski, so looking forward to that, although I'm getting a bit past it for table dancing these days!!! We're in a catered chalet (Verwall) with Esprit. It will be a fairly standard chalet, but they have top-notch childcare. They take them at 9am for ski scool and afternoon fun skiing, and look after them til 11pm if needed. They're happy, I'm happy! Sounds like you know Obergurgl. Any top tips? I heard that the Nederhutte is legendary for après-ski, so looking forward to that, although I'm getting a bit past it for table dancing these days!!! I stayed in Edelweiss Hotel some years ago. Was very expensive. The ski-ing was heaven though. I am sure you will have a great time. I keep saying, I am too old for Apre frollicks but you just get carried away with proceeding. Austria is just the best for that sort of thing. Sounds a good choice for the kids and adults. If you are coming out to visit Katschberg this winter, stay away from this drinking hole, unless you like loud music, dancing and a massive hangover. A great place for a oven fired pizza right beside the end run into the village. There is a good chance I might see you in there ! Just sat in the chalet in St.Anton waiting to be picked up to go home. Been a largely sunny week, and too warm at times even up on the mountains. Snowed a little on Thu which made a nice change and freshened up the slopes a bit, but yesterday's sun destroyed the superficial white winter coating on the hills. Runs have been in ok condition given its mainly artificial snow. It suffered in the afternoons due to the traffic and the effect of the sun, but this week coming should be better for those arriving. 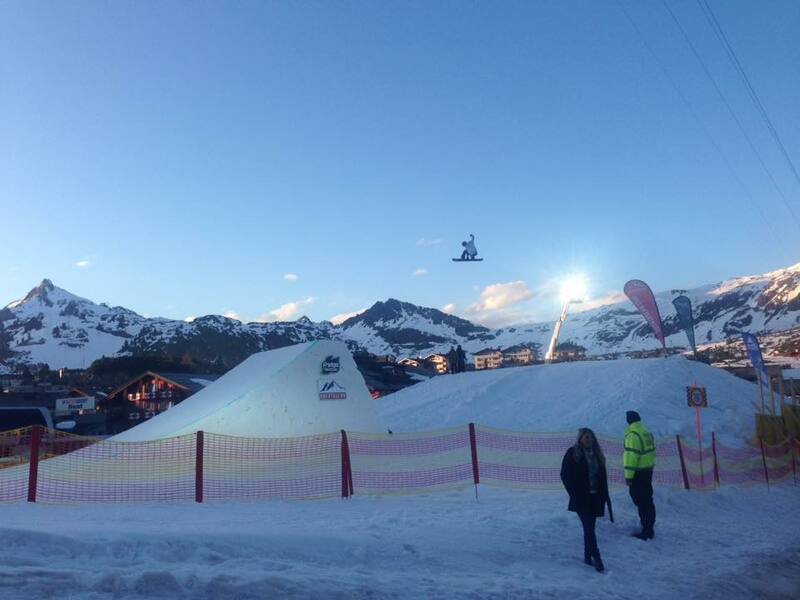 Less traffic on the pistes and some forecast snow will make a difference. Won't be awsome but there will be plenty to ski. Hi Ravelin, just about sums up the lack of good snow conditions across the Eastern Alps. Sorry you did not see much in the way of snow, but probably better than being in rain soaked landscape at home! Maybe , you should get a late one booked ! 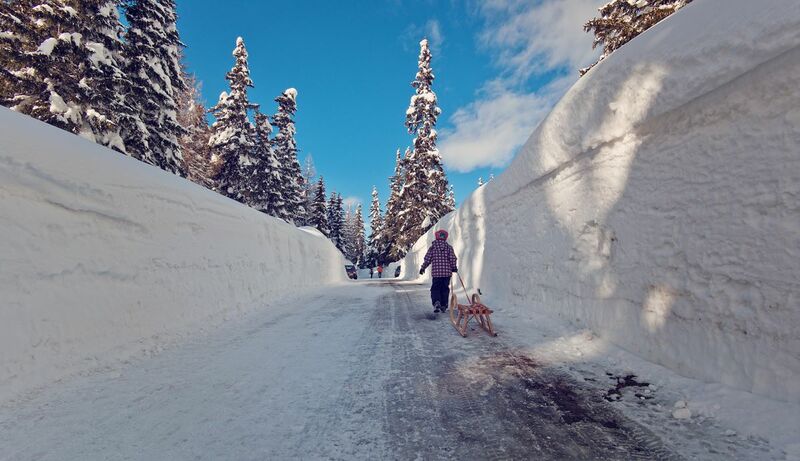 Looking back to the great snowfalls of February 2014. Here is the main road into the village of Katschberg. Never seen snowfall like this, a complete contrast to what we have today ! One of my favourite locations. 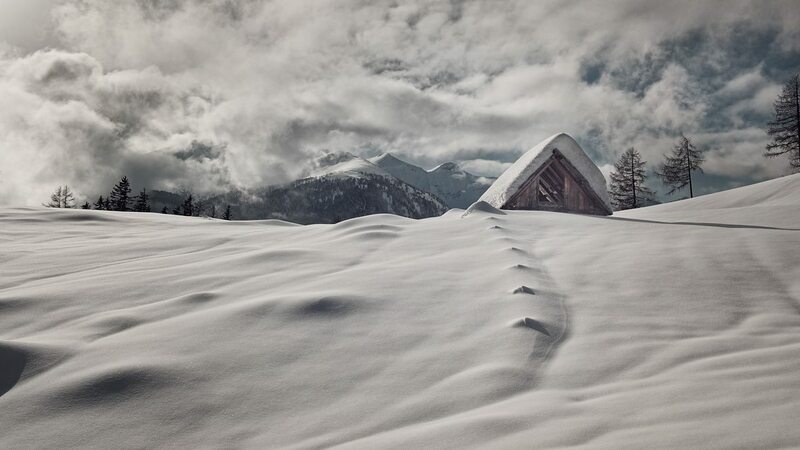 This rustic hut can be easily reached from the beautiful back runs of Katschberg. Overlooking the Polla Valley and Rot Gulden mountain in the background. Ski-ing around this location is effortless and almost in silence. Wonderful, best skied after a fall of powder snow. The conditions weren't that bad that we didn't enjoy ourselves, and certainly better than staying at home sat in front of the TV while it rained constantly outside. It'd just have been nicer if it was snowier. Anyway, 8yr old son progressed well during the week, to the point I took him down a black run the last day, which he coped with admirably (slow and deliberate, which was good as it wasn't exactly smooth). The whole trip was worth it just for the big smile he had when we reached the bottom. Oh, and wife is already looking for a 'second trip', but it'll need to be at the start of April due to school hols, cheap, and I'd be very reluctant to book unless I'm sure there would still be snow, so probably a late booking. 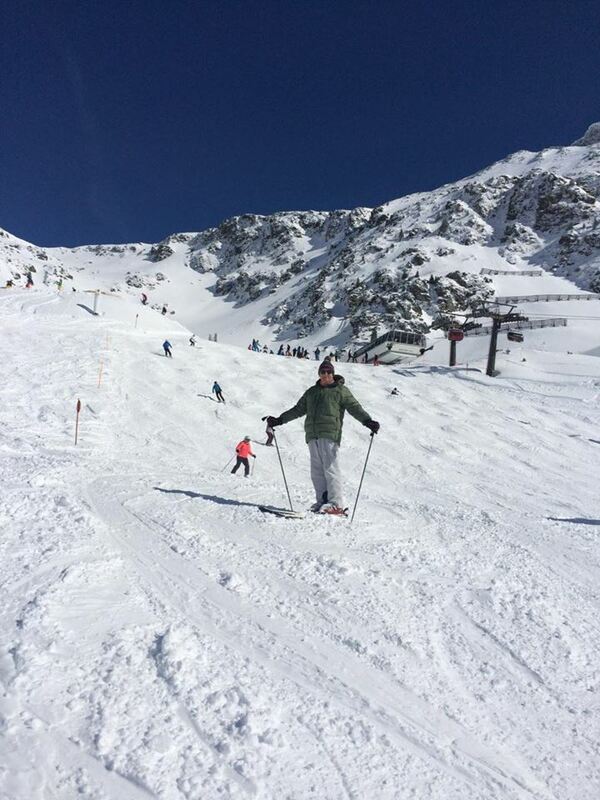 Great news, anyone who can ski down a black run in St Anton must show promise ! I think your wife is correct. I know it must be a pain cost wise to get it in the school holidays, but usually some great deals in the first week of April .However, you have to based at 1500m plus by that time of the year. 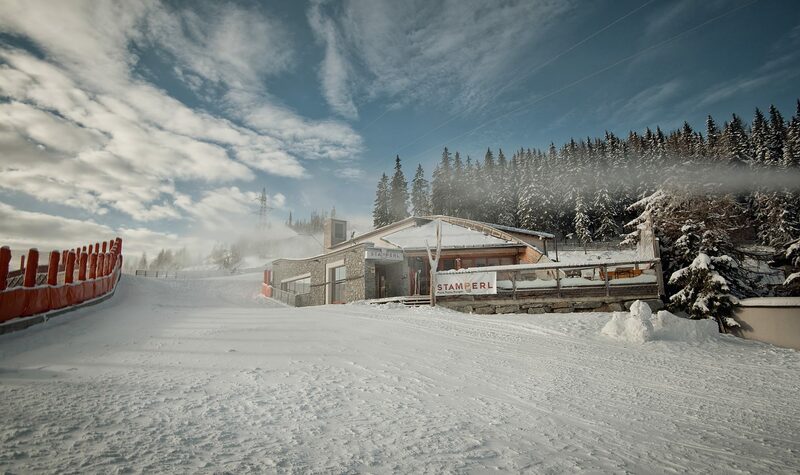 I know Obertauren has some great ski-ing at that time of year in a 360 degree linked circuit, all sunny runs between 1700m and 2300m elevation. We had a ski-ing holiday in the first week of April way back in the early 80s when my son was just 1 and the snow conditions was one of the best I could remember, think it was Nendez / Thyon region above Verbier. 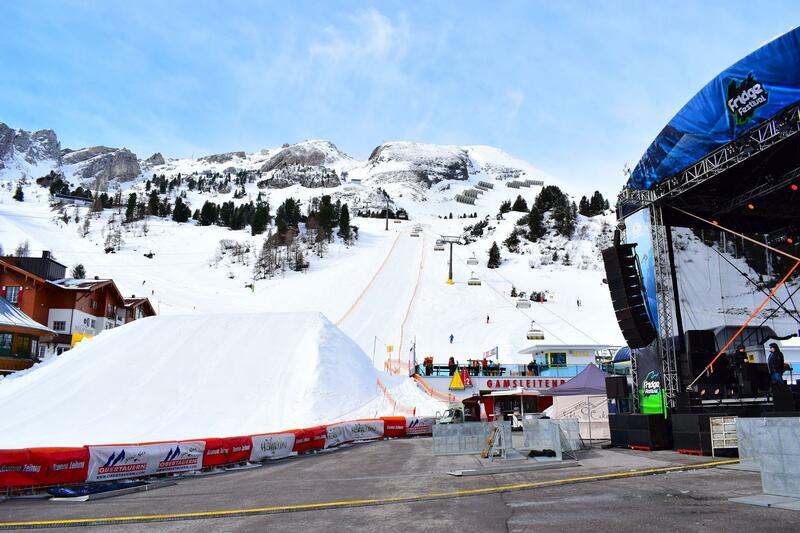 Also the lifts stay open until 5 pm so you get value for money with your lift passes. We have a group of over 60s coming out to ski the first week in April and love to take them touring through the higher runs, but usually ends up more drinking than ski-ing as it gets hot ! 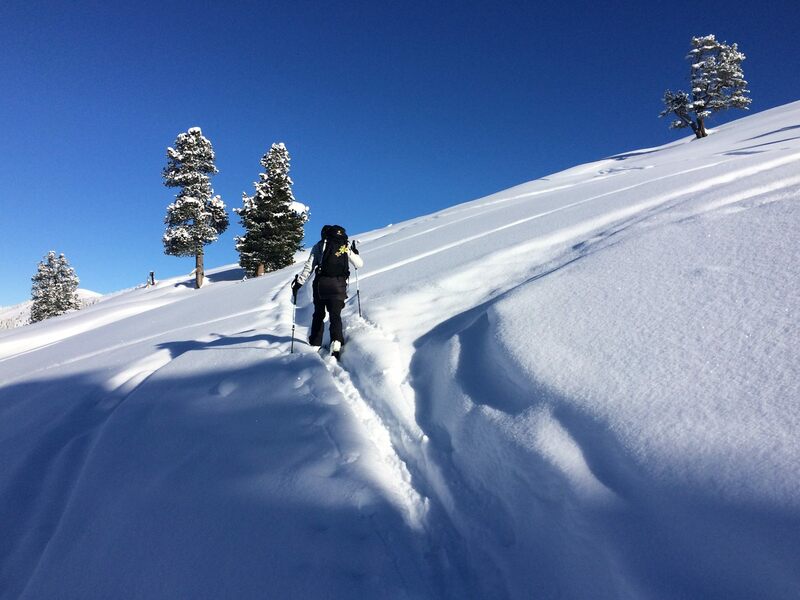 You cannot beat a bit of fresh deep virgin snow. 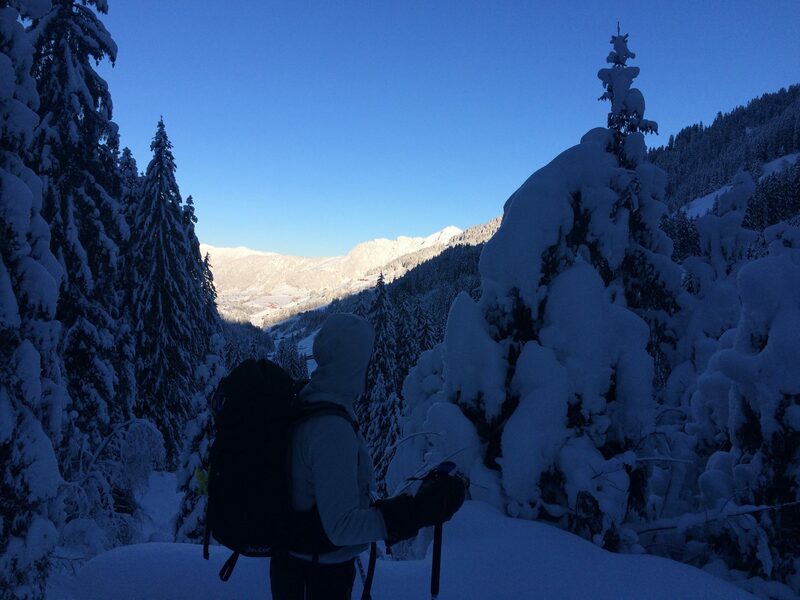 Picture taken in Inner Alpach. Another one , looking towards the beautiful Alpachtal Valley. Hi all, Spring has Sprung. Lovely warm sunshine today. Currently 13C in the valley. 23c reported today in Graz. Enjoying the last few days of ski-ing at 2000m in Obertauren. 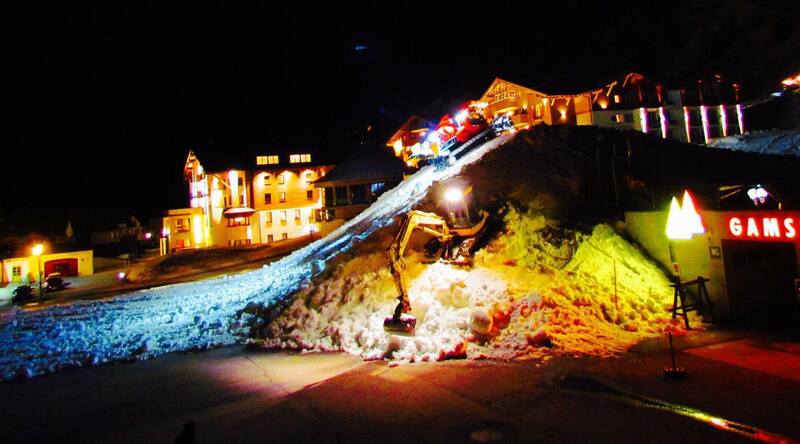 Last night saw the start of building the snow ramp for all the trickery this coming weekend for the Annual Fridge Festival. Hope it does not all melt away in this heat ! Plenty of live bands to enjoy and copious pints of beer no doubt and all sorts of food goodies to be had.This is the last fling of the season. Fantastic! Enjoy yourself Paul but don't consume too many großes biers!! Hi Malcolm, the sun has stayed behind the clouds today and feels much colder. In fact snowing readily at altitude. 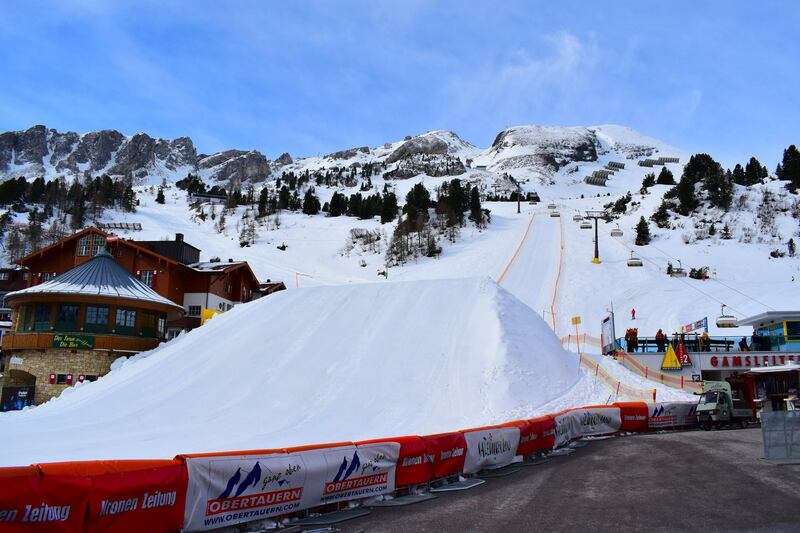 Only klein biers tonight but a least the snow ramp looking in good shape for this weekend. All ready to Rock n Roll for the start of this weekends Fridge Festival in Obertauren. Fresh snowfall overnight and the sun ist out. First high flyer of the Fridge Festival.